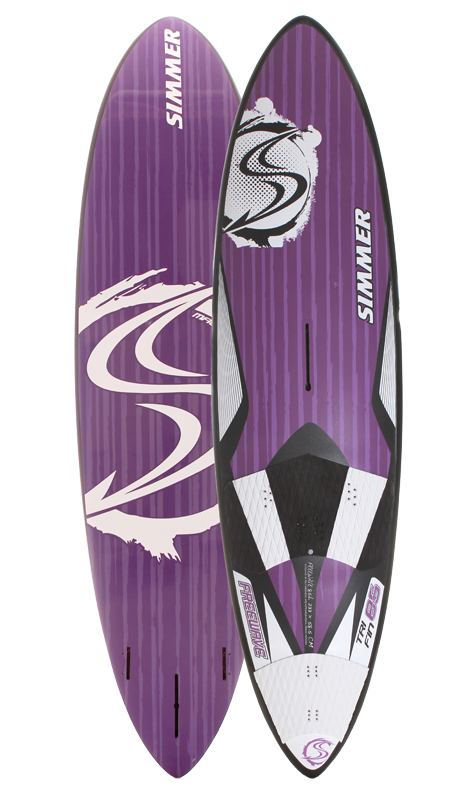 The Simmer Freewave is a high performance board that offers a fun and lively ride in a huge spectrum of conditions. 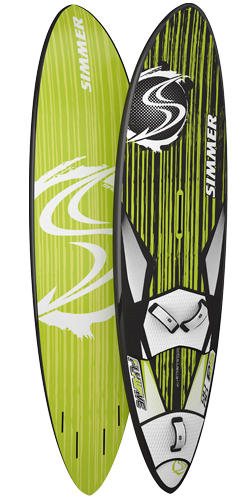 It is designed to work with a variety of fin setups and is delivered with a freewave single fin and a tri fin set. 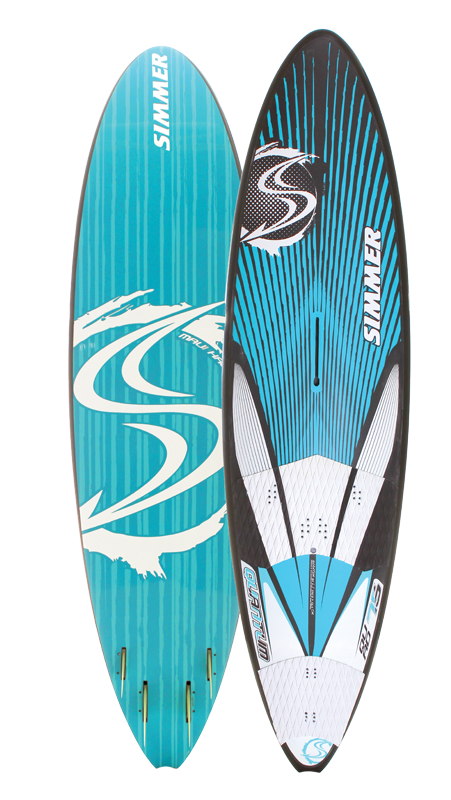 With a single fin, the board is a classic freewave performer with a perfect blend of liveliness and smoothness whether blasting, turning or jumping. 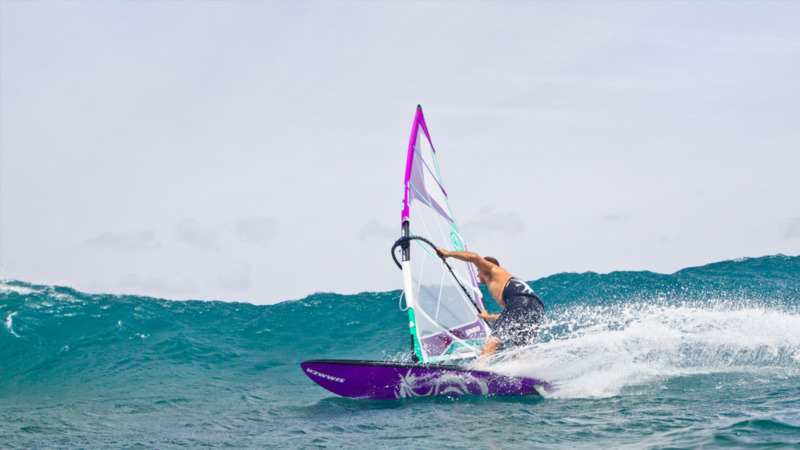 With the dedicated tri fin surf style fin kit the board becomes a powerful fast wave performer that combines amazing upwind and planing performance with an ability to handle waves from small onshore slop to serious sideshore overhead lips. 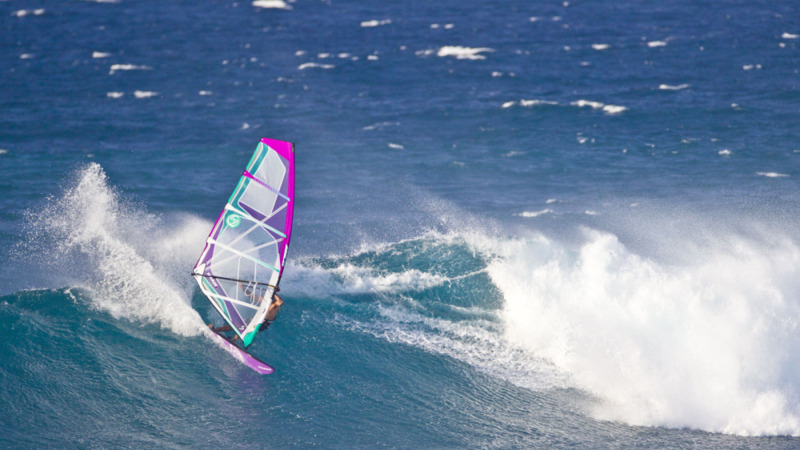 - Fast rocker curves, with curvatures designed to give better turning in tri fin mode and more speed in single fin mode. 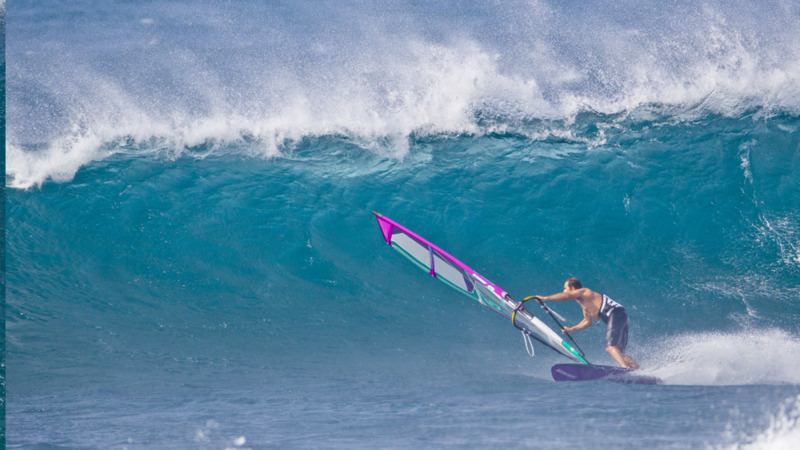 - Smooth outlines for predictability when pushed hard in turns. 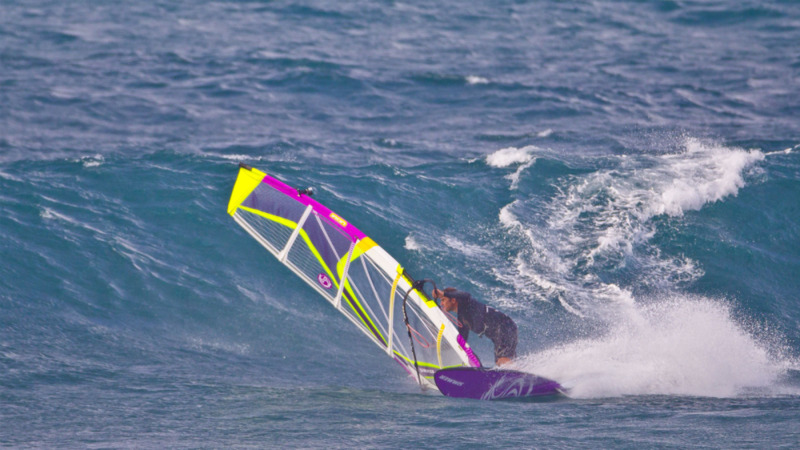 - Wider outlines with comparatively narrow tails for snappy turns and control through chop. - V-design with v-flow designed to increase the rocker closer to the rails. - Double concave for a smooth ride though chop and for grippy turns, but with a flatter section beween the straps for a livelier ride. 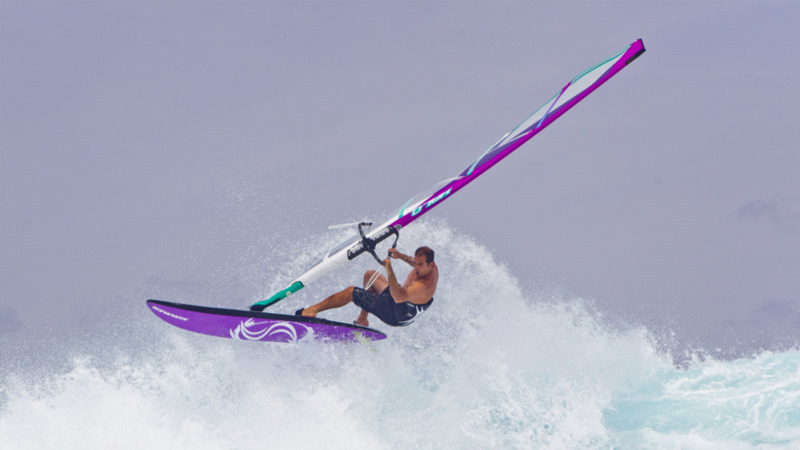 - Tri fin slot box positions optimized together with rocker and outlines to give unmatched wave board like performance in true tri fin mode.